All the major car manufacturers over recent years have realised that they can make their top-of-the-range cars look more desirable by subtly changing certain items on the exterior; distinguishing them from the entry-level models. These subtle changes, along with the obligatory larger alloy wheels with low profile tyres, slightly lowered suspension and sports exhausts transform their cars into something extraordinary. Carnoisseur can create that exclusive look, or a more extreme design, or perhaps mirror a specific motorsport style... let us help you create your vision with the help of all the leading brands in the aftermarket. 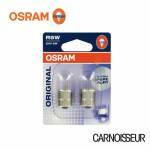 Carnoisseur have a full range of Osram Exterior & Lighting. 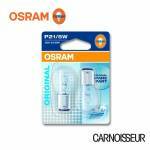 To view the Osram Exterior & Lighting we offer simply make your selection below. 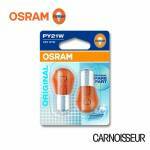 You can purchase Osram Exterior & Lighting on-line or through our network of Carnoisseur Outlets. 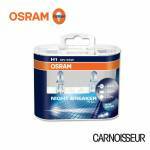 To find out more about Exterior & Lighting click here to view our Carnoisseur Exterior & Lighting Guide.